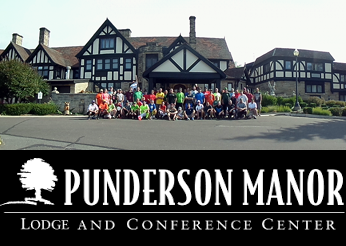 The course was installed and is maintained through the Friends of Punderson 501(c)(3) non-profit organization that works with the state park system to help make Punderson an awesome destination. The Disc Golf course, located to the right just after you enter the park, is open to the public and there is no charge to play. The entrance is marked by the kiosk, where you can pick up General Information on Disc Golf and your course map. The first tee is a short walk as you follow the trail leading off to the right. The course currently has 18 holes installed, some with short and long baskets. This wooded course works its way along the eastern edge of Pine Lake. Each hole is identified with a marker indicating the holes specifications and each has a beginner, intermediate, and advanced tee. If you do not have Disc Golf discs to enjoy this beautiful course they are currently available at the Punderson Marina concessions, JC’s restaurant in Burton, Four Seasons restaurant in Newbury, Geauga Pawn and at our disc golf events. The area Disc Golf Club plans several tournaments throughout the year. Please check back for event updates or subscribe to our site (below) to receive e-mail notifications. League Events & Tournaments: Please see our Home Page for current tournaments and events or view our Calendar for seasonal league events. Disc Sales: Golf discs are available for sale at the Punderson Marina, JC’s Restaurant in Burton and Geauga Pawn. Golf discs will also be for sale at our league events and tournaments. All disc sales help support league events, tournaments and course maintenance. Camping/Lodging: Punderson State Park offers camping, lodge, and hotel like acommodations. Please see the park’s reservation site for more information on renting a room or cabin. Please see the Ohio State Park’s website for information on reserving a campsite.